On holiday last year in Porthleven, Cornwall, storms had ravaged the coastline overnight. 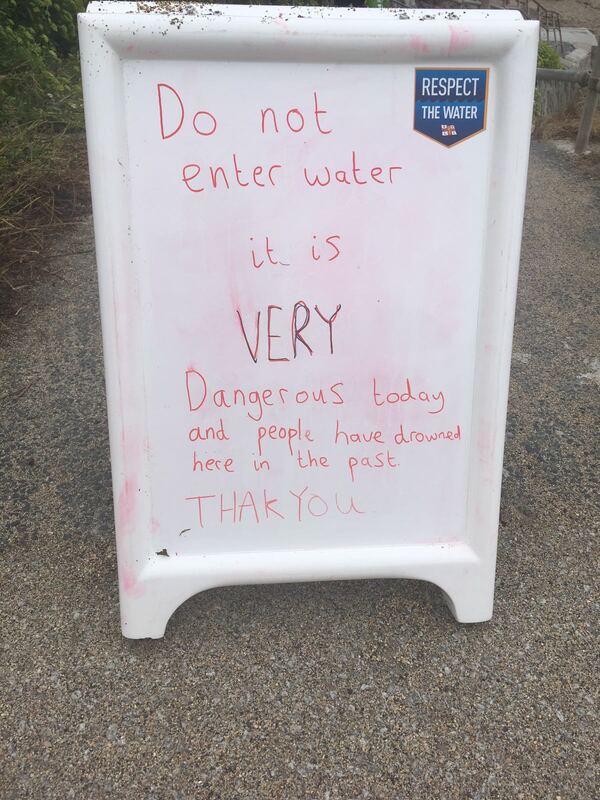 The following morning I stumbled across this sign warning of the perils of swimming today. It stopped me in my tracks as it appealed to every sense of survival embedded in me. However, it felt wrong, the words of an exasperated person. In selling, this tactic has often been used to persuade customers to buy. Project Fear was its name during Brexit and when poorly done, has a detrimental effect on the customer, driving them away. We call this “Away From” motivation, and it’s known that a fair proportion of people and businesses buy things on fear of loss or to prevent problems escalating. You know, the training manager hiring extra training to avoid a fine by their regulator. On saying that, it’s also well documented that people buy things to gain pleasure or to achieve some goal or objective. “Towards” motivation. For example, I’m developing live internet streaming from my studio here and wanted a first-class camera and steaming encoding software. Vimeo came along, and I bought their solution to help me achieve this goal. In the case, of a life or death scenario on a beautiful beach in Cornwall, perhaps the fear tactic was the best one to use.